Two students hurt after vehicle hits bus loaded with children. Police later caught up to the driver. 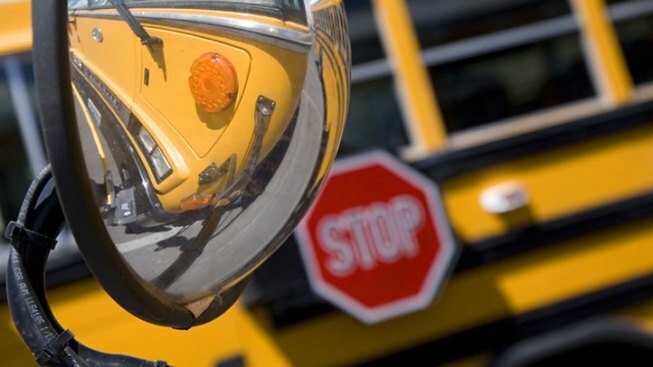 A driver rear-ended a school bus full of kids Friday morning and fled the scene, according to police in Camden County. About three dozen students from Gloucester County Tech were on the bus. Two students on the bus were checked out for minor injuries after the hit-and-run, Clementon Police said. The crash happened around 7:45 a.m. on the 100 block of Gibbsboro Road near Clementon Elementary School at 4 Audubon Ave. but didn't involve any students from that school, according to authorities. After hitting the bus, police say that the driver of the other vehicle fled the scene but not before someone saw his license plate. Police located the driver -- described as a man in his late 20s -- within an hour in Pine Hill, N.J. and issued him a motor vehicle summons for leaving the scene of an accident and failure to a crash.